Having vinyl siding on your home can give it that new and shiny look that almost instantly increases the curb appeal of the home. Over time however, that siding can show some signs of age and wear. There may also be items that is causing the siding to give these problems. Either way, you can help to protect the look and function of your vinyl siding by performing some routine maintenance items to keep it functioning properly and looking great. 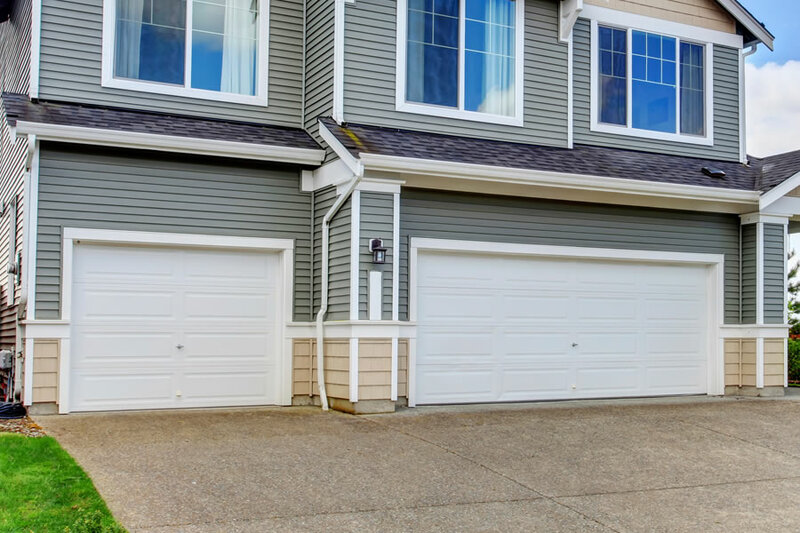 Although vinyl siding is almost maintenance free there are some things that you can do as a home owner to increase it’s longevity and keep it looking great. I’ve compiled a list of 5 things below that you can do in just an afternoon or on the weekend to keep your vinyl siding looking great and protecting your home from weather events in both hot and cold weather. After siding goes up on your home most home owners never really go around and look at it to make sure things are in place as they should. Every month or so it’s a good idea to just do a walk around on your home to ensure everything is in place and as it should. If you find problems such as a broken piece of vinyl siding then it’s best to go ahead and call a siding contractor to replace it. This can help to prevent other problems in case the vinyl siding starts to rip other pieces of siding off the home. The entire inspection of your home shouldn’t take more than a few minutes and can really help prevent small problems from becoming large problems. Broken pieces of siding may also allow water behind the siding which can damage the wall in some cases. For home owners who have shrubs and flower beds around your home be sure to keep them under control when it comes to your vinyl siding. Shrubs can rub into siding causing the siding to disconnect and some plants will even make their way behind the siding. Tree branches that rub the siding may also cause problems. Things like breaking the siding or discoloration of the siding can occur in some siding. Keeping shrubs, trees, and other plants away from the siding will help prevent this problem. Homes with little overhanging eves and gutters that are full of leaves and other debris likely has siding with dirt and grime on it. As water overflows the gutter it also takes the dust and debris with it which usually ends up as stains on the siding. Usually these stains can be removed with simple washing of the siding or even spraying with a garden hose but unless the gutters are kept clear the problem will likely repair. 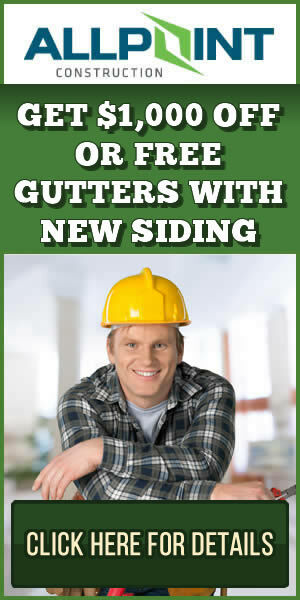 You’ll also want to ensure nothing on the gutter system is rusting. Rust stains can be extremely difficult to remove from some siding. Many people recommend using harsh chemicals such as bleach to wash your siding. However, this can fade the siding dramatically and without the proper cleaning solution you’ll likely have a clean siding look but it won’t be bright and shiny as before. Cleaning some areas with harsh chemicals and not others will also make the siding color mismatch which is very noticeable. Don’t use harsh chemicals on your vinyl siding. Cleaning some areas with harsh chemicals and not others will also make the siding color mismatch which is very noticeable. Don’t use harsh chemicals on your vinyl siding. Sometimes building up flower beds can bring the ground level up to the bottom of siding. Unbeknownst to most people however this can be bad for the bottom layer of underlayment and sheeting for the siding. Water can splash up and behind the bottom piece of siding causing problems with damage to that area if it’s not properly sealed. It may also cause dirt and debris to splash up on the siding as well. I hope these tips give you a better insight into protecting your home’s vinyl siding. If you have problems with your vinyl siding and live in the Ann Arbor Michigan area be sure to call a professional vinyl siding contractor in Ann Arbor Michigan for service. We recommend Ann Arbor Remodeling Contractor for all siding repairs and installation in Ann Arbor Michigan.